A thrilling ocean voyage on the Queen Mary 2 from New York City to Southampton culminating in a two-month ramble through the charming backroads and small villages of the pastoral English countryside in the spring of last year is the subject of this delicious travel journal that Susan has painstakingly hand-lettered and watercolored in the way many of us have grown to love over the years. Join Susan as she recounts her lighthearted ramble of discovery through the historical homes and gardens of art and literary heroes, along ancient footpaths, through wildflower meadows and fields of lambs, into tea rooms, pubs and antique stores. This lovely hard-cover book includes hundreds of photographs and a red ribbon sewn-in book mark. 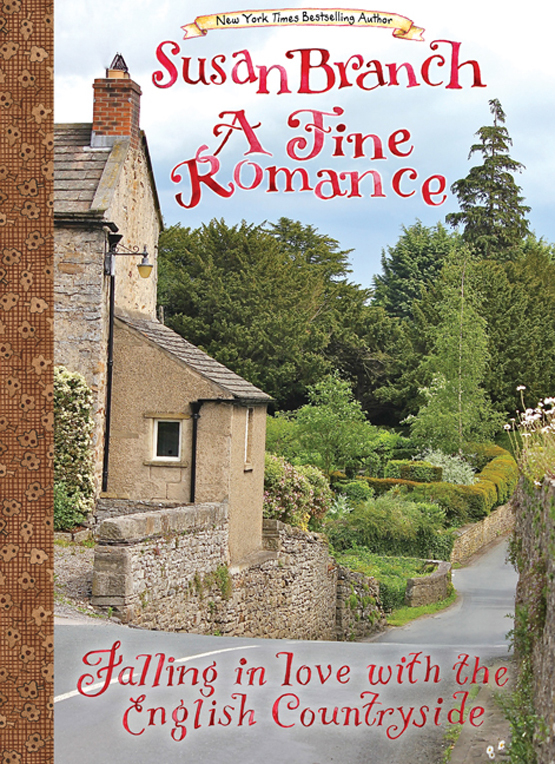 A FINE ROMANCE is a work of art, part love story, part travel guide and all dream come true. 272 pages; 6" x 8", with dust jacket. All books purchased from our web store will include a personally signed bookplate from Susan.